Nearly every woman dreams of having that perfect wedding. In fact, to a bride, this could mean a one-of-a-kind gown. For the groom, slick tuxedos and snazzy shoes for him and is best man is more than enough. However, next to these, a newlywed couple would want nothing more than to have happy and well-fed guests at their reception. Who could say no to good food? This doesn’t seem like much to ask for, does it? Unfortunately, weddings can be ludicrously expensive, especially when it comes to food. 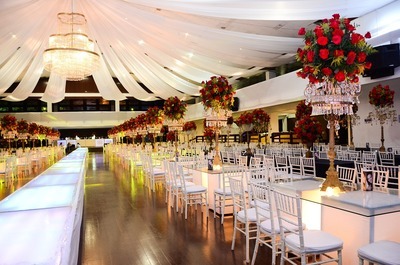 If, by the time you start planning the reception, you have little money to work with, don’t panic! Thankfully, you can still have a decent wedding reception on a budget. All it takes is pulling a few little tricks out of your bag, here’s how. Tips For a Budget- Friendly Wedding Reception. 1. Skip the servers. Requesting a catering service that includes servers will be counter-intuitive if you’re low on budget. Instead, opt for a buffet-style budget wedding catering instead. A buffet will limit the number of serving staff needed and drive down catering costs tremendously. If you want, you can also combine a buffet and sit-in dinner for the reception, and then choose which special guests could enjoy these. 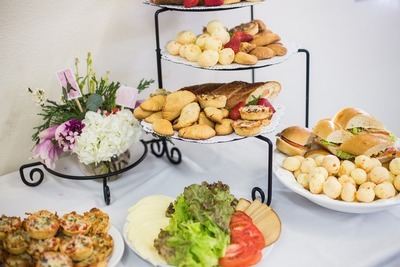 Tip: A combination buffet-style and sit-in dinner reception entails that you have different sets of food to serve guests and place on the buffet table. 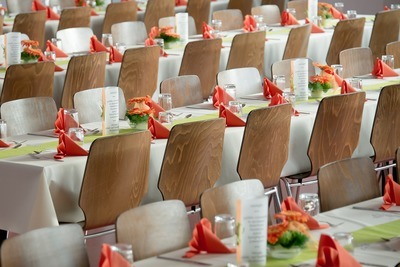 You want to serve the more expensive foods and allocate the amount assigned per table or guest. In this way, less expensive dishes may be set on the table for guests to serve themselves. 2. Exchange premium ingredients for cheaper alternatives. If you need to save even more money on the reception, you must be open to substituting ingredients with inexpensive options. It’s nothing to be ashamed of, and doesn’t mean you have to compromise the taste of your food selection. You can still get great tasting food from catering for a wedding on a budget. 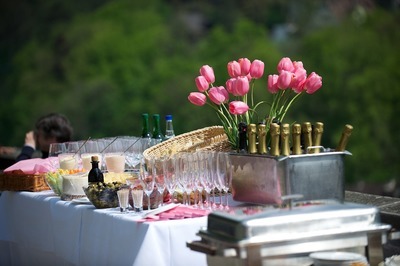 You will be surprised how delicious catered food for a wedding reception can taste. Tip: Be on the lookout for out-of-season ingredients. A professional caterer will gladly talk to you about ingredient options available to you and can work with you to substitute choices with in-season ingredients to further reduce your costs. 3. Limit meal options. 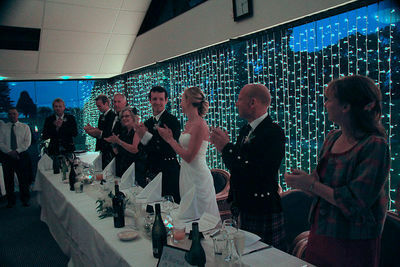 Some services who offer budget wedding catering manage to provide great dish varieties at a low price. But you can save even more money by limiting the food options available to your guests. Why not serve at least two types of meat cooked in different styles, but don’t neglect to utilize healthy portions of vegetable dishes to your guests who may be vegetarians. Tip: Set big bowls of salads and grilled vegetables on the tables. Guests will think generously of you, and you didn’t even have to spend extra money! As a suggestion, non-vegetarian alternatives help to showcase your generosity. This can include healthy servings of macaroni and cheese cubes, which can be served in tiny martini glasses for guests to snack on. There really is no better way to start your life as newlyweds than to surround yourselves with happy family and friends who enjoyed the reception? With these three simple tips, you can plan a wedding reception on a budget and still have the perfect wedding you’ve always dreamed of.